A nineteen-year old man is on trial for the murder of his father. With a criminal record, circumstantial evidence and public perception against him, he faces almost certain death. His very fate rests upon a jury of his peers, who have been sent to a hot, crowded room to deliberate. Tempers flare and arguments become heated– will racism, bigotry or selfishness derail the process of justice or will cooler heads prevail? Join us for this exploration of the eerie, the dark and the downright frightening, as we present original staged versions of two of Edgar Allen Poe’s most chilling pieces–Masque of the Red Death and The Tell Tale Heart–and top it with The Monkey’s Paw, a horror story with a message: “Be careful what you wish for.” The show will make this a Hallowe’en to remember! 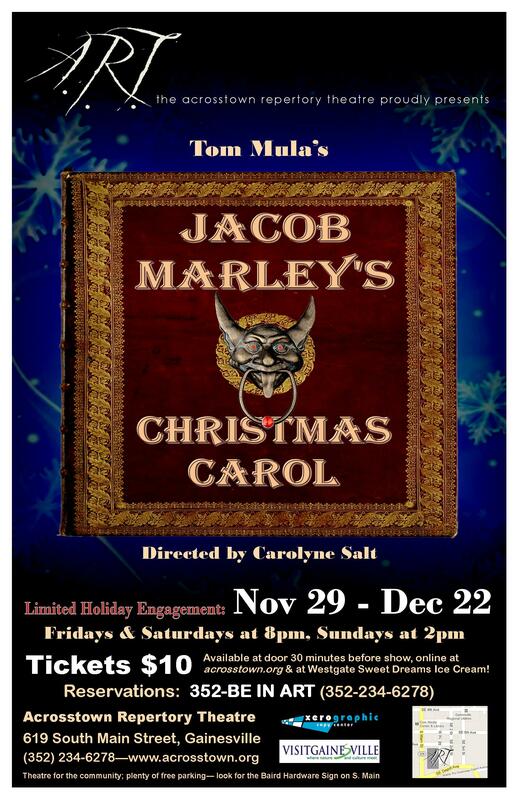 Welcome to the real story behind Dickens’ A Christmas Carol– Marley’s heroic behind-the-scenes efforts to save old Scrooge’s soul, while in the process, saving his own. Marley is not alone, however; he is aided by the Bogle, an irreverent little sprite with an agenda all his own. In this fast-paced, hilarious and deeply-moving soon-to-be Christmas classic, four actors bring dozens of Dickens’s characters to life and take you on a fantastic journey sure to put you in the Christmas spirit. 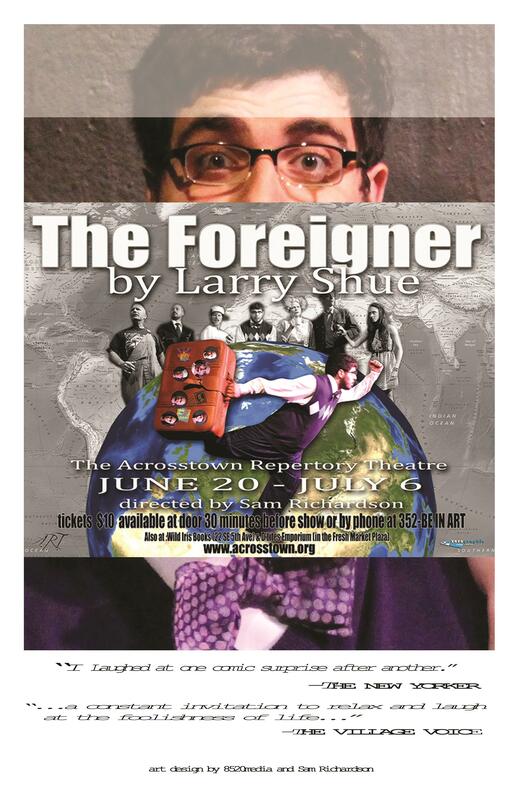 Join us in the world premier of this delightful Voyage and Return story. It begins in the Ukraine in the 1920s, but soon whisks us away to a magical land where everything is red-and-white. As with ”Alice in Wonderland” and ”The Wizard of Oz” before it, you’ll discover themes of family, war, peace, history, power and the supernatural as our reluctant heroine discovers a surprising secret about herself. Corpus Christi presents the story of Joshua, a young gay man from Corpus Christi, Texas, who grows up, falls in love, gains 12 followers, and is ultimately persecuted for his radical message of love, inclusion and self-divinity. 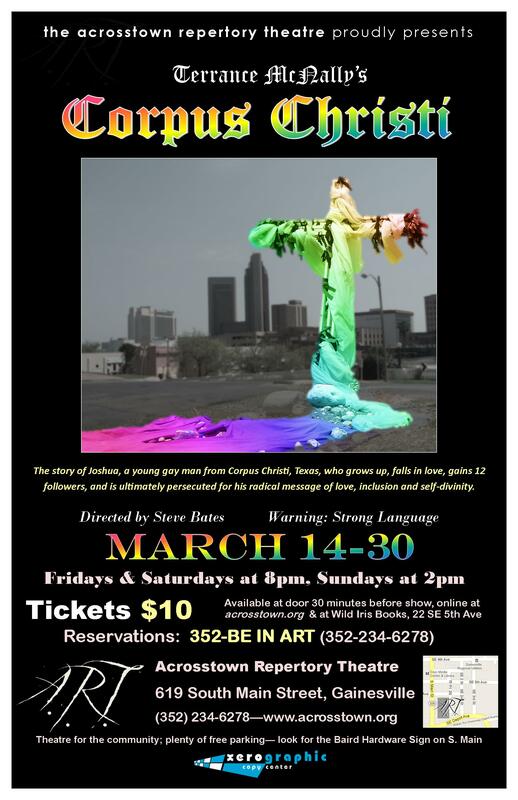 A modern take on the Passion Play, it is moving, challenging and highly controversial in its depiction of Christ and the Apostles as gay men living in modern day Texas. 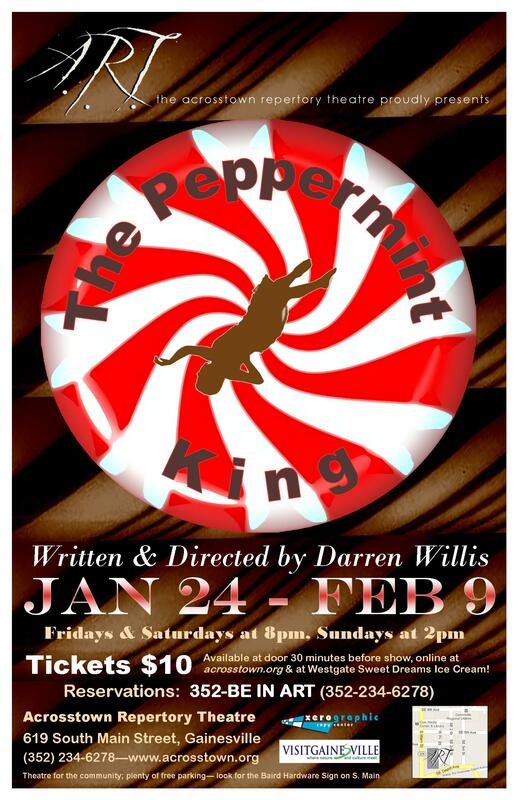 This is a rare theatrical experience that is not to be missed. What if the faery tales our families tell themselves are true? 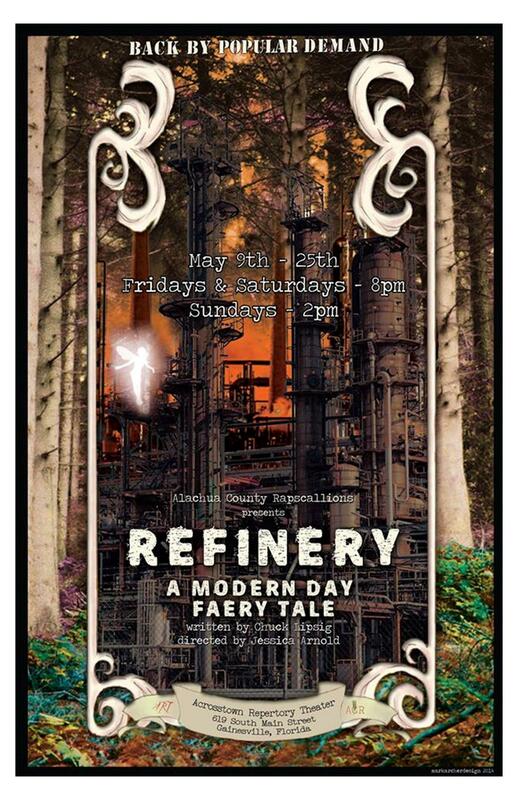 ‘Refinery: A Modern Faery Tale’ shows how the stories we listen to and the stories we tell can affect us, sometimes trapping us and sometimes liberating us. 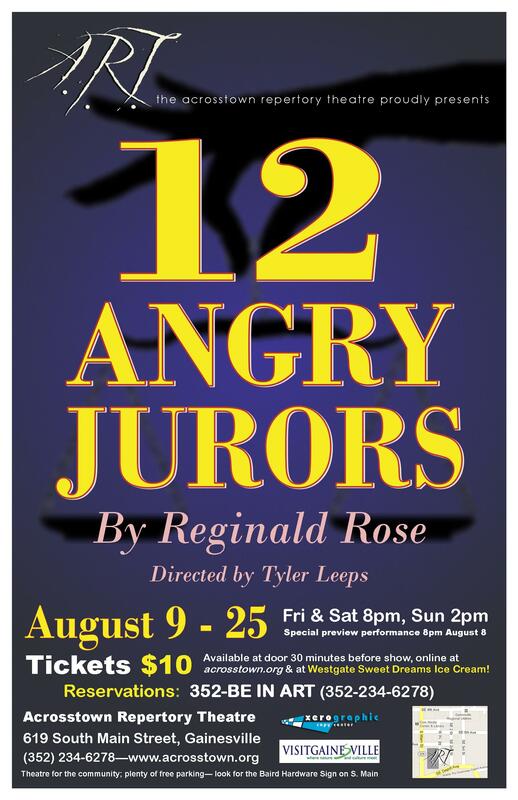 The “Gainesville Home-Grown” original play by local author Chuck Lipsig, performed in partnership with the Alachua County Rapscallions, will challenge our concepts of good and evil and leave the audience thinking and talking. 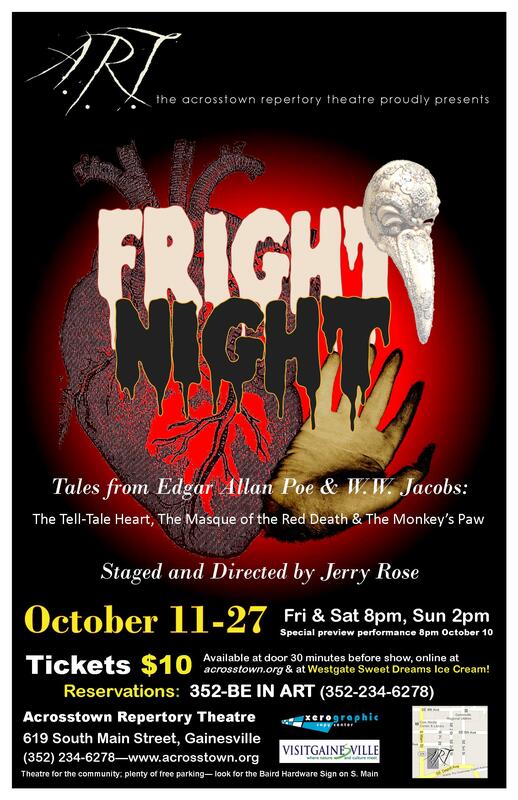 Back by popular demand as a mainstage performance after its success as a Dark Night last year. On a stormy spring night. two Englishmen arrive at a rural fishing lodge in Georgia– Froggy LeSueur, a British demolitions expert who sometimes runs training sessions at a nearby military installation, and Charlie Baker, who is inconsolable and almost pathologically shy. When Froggy informs the lodge owner that Charlie is from an exotic foreign country and neither speaks nor understands English mayhem ensues as the guests speak a bit too freely and Charlie struggles to keep up the facade in this laugh-out-loud farce.